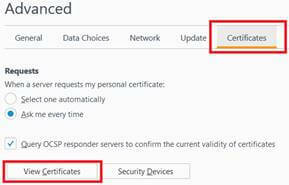 After validation is finished, the issuing Certificate Authority (CA) will send the certificate via email to the certificate requester. Using Firefox as your browser and the same PC which generated the order, follow the "pick-up" or "collection" link in the email and initiate the downloading process. The in-browser script will automatically pull the previously stored private key from the browser's file system and install it in your Certificate Manager folder. 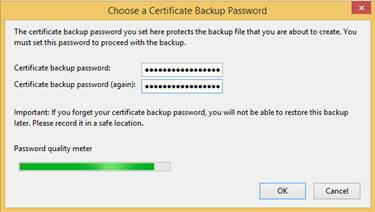 Click OK and you've successfully backed up your certificate and private key(s).